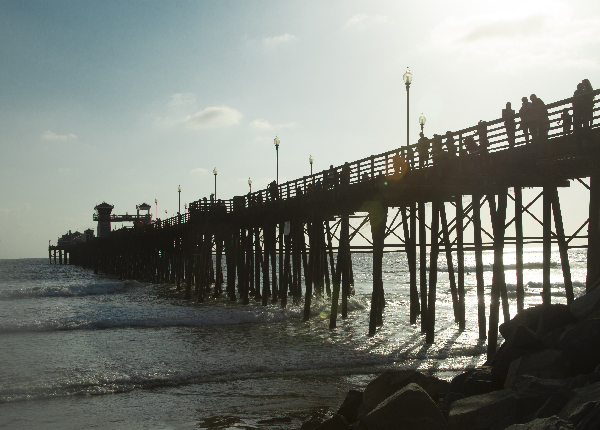 Proudly serving Oceanside and Camp Pendleton residents since 1983. If you are looking for a career change or a new source of income and are considering bartending training schools near Oceanside, contact us for the next class dates. The school is located minutes away off I-78 and minutes away. Our students train in bartending for a career in the hospitality industry and others who are exploring second income options. Bartenders are always in demand throughout the city. Call to schedule training in as little as one week. A bustling seaside city in San Diego, Oceanside is the third largest city in San Diego North County bordering the Marine Corps Base Camp Pendleton and Carlsbad. The city is what you would expect from a coastal town. Quaint shops, ocean views and harbor dining can be found. San Diego Bartending School. Professional Bartending School in San Marcos Serving all of San Diego - North County bartending Classes in San Diego County - Oceanside - Vista - Carlsbad - Encinitas - Poway - Rancho Bernardo - Escondido - Fallbrook Olivenhain Imperial Beach Lemon Grove Point Loma Poway Santee Lake San Marcos Lakeside Mount Laguna Pine Valley Potrero Ramona Ranchita Rancho San Diego Rancho Santa Fe Rincon San Diego Country Estates San Elijo Hills Santa Ysabel Shelter Valley and more locations throughout San Diego.